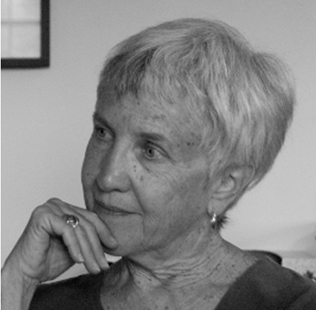 Lois Eby has lived in northern Vermont for many years. In addition to exhibitions of her work, she has contributed drawings and paintings to books, magazines and two William Parker CDs frm AUM Fidelity of Brooklyn, New York. Her work is in a variety of public and private collections including the art collection at SUNY Adirondack in Queensbury, NY, the Vermont State Art Collection and the HGTV Dream House 2011. A collaboration between William Parker, David Budbill and Lois was released in video format in 2013 as On Being Native; it features Lois’ ink drawings, William’s composition for string quartet, and David’s poems. In 2009 RETN Channel 16 in Burlington, VT , released a video interview with Lois which airs as part of their series called The Artist and which can be seen on Lois’ web site. Lois’ work is on the cover of the William Parker boxed set, Wood Flute Songs, issued by AUM Fidelity in 2013, and on the cover of the accompanying booklet. Her work is also on the cover of David Budbill’s book of poems, Happy Life, published Fall 2011 by Copper Canyon Press. Dancing ‘round the 10,000th Thing, a mixed media work on paper, was selected by the Vermont Arts Council in 2004 to be one of six works produced in a set of giclee prints as part of the Council’s 40th Anniversary Celebration. Lois writes of her work: several strands of influence come together in my paintings. One is Asian ink painting, and Zen ink painting in particular, from which I learned to see line as expressive of feelings at the deepest and most vibrant levels of human experience. Another strand is African American improvised music; here I learned to embrace improvisation as a method of creation and a well of vital energy. The exploration of abstraction in Western art since Cezanne and Kandinsky has also provided challenge and direction. Lois’ work can be seen online at www.loiseby.com and at The Painting Center of New York’s Online Juried Art File.